This is what my weekend involved. 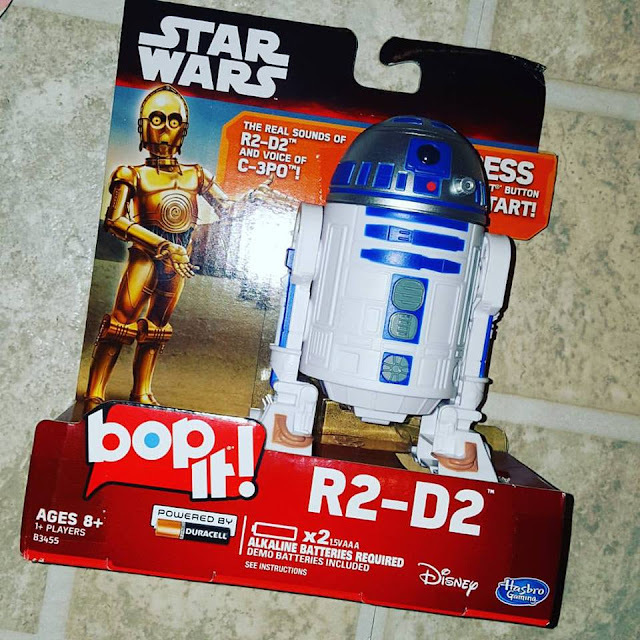 We've been having a blast with the Star Wars version of Bop it, you can never go wrong with classic games. Especially when they involve your favorite movie characters. 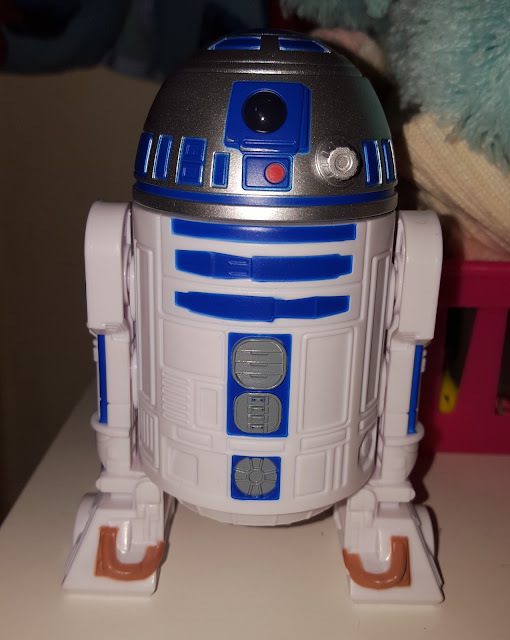 R2-D2 is seriously one of my favorite star wars character. Bop It starring R2-D2 is definitely a fun game, I love that my 12 year old son can enjoy it as much as my 2 year old daughter, the sound effects are a plus she loves them. This Bop It version is a little different, instead of pressing down on colors you have to either twist him, pull his leg or bop his head, which will bring out a lot of giggles. You will also have fun listening to R2-D2 speak. 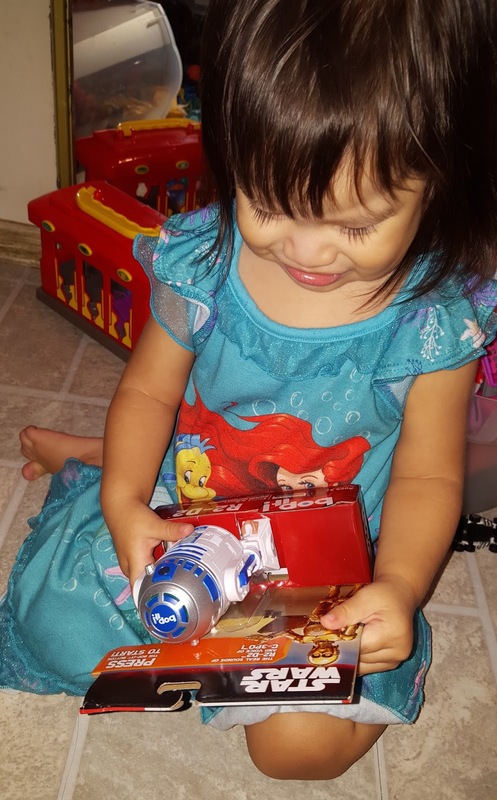 This is definitely a cute and great stocking stuffer for all star war and non star war fans. It provides endless hours of fun. My son and I keep trying to beat each others score. Makes for cute decor and is great for family game nights.